Ever since you got on the green wagon, you've been biking to work to lower your carbon footprint. 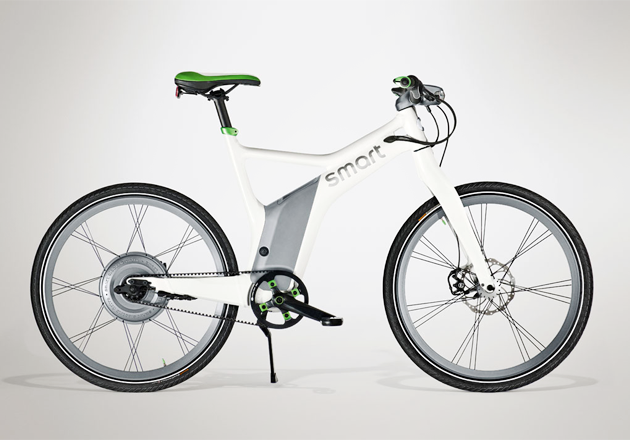 Give your legs a break and upgrade your ride to an Smart Electric Bike ($TBA). This eBike from Smart, known for their tiny cars, features a 250-watt electric motor powered by a high performance 400-Wh lithium-ion battery that recharges while you pedal. Along with a 62 mile range with one battery charge, the eBike features a smart phone integration, assisted brakes, a carbon belt drive and more.